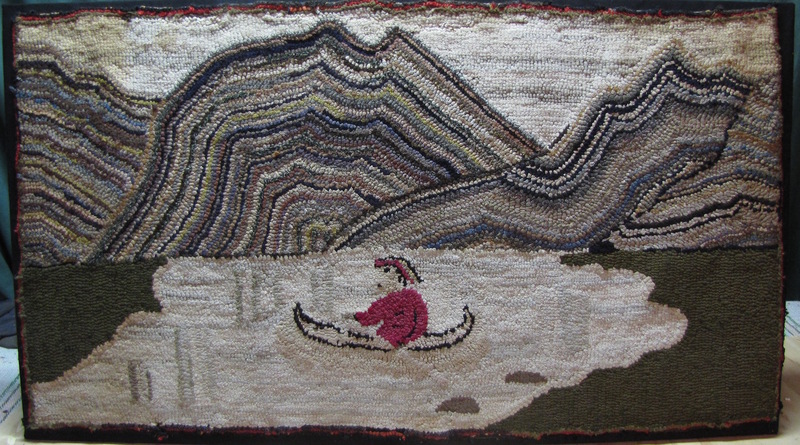 An early 20th century naive hooked rug portraying a canoeist with well rendered, sweeping mountains in the background. 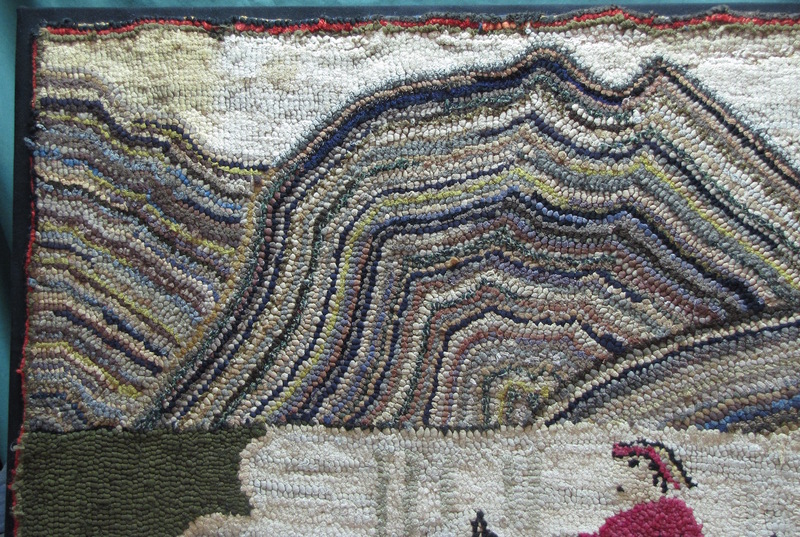 The rug has been professionally restored and mounted for display. 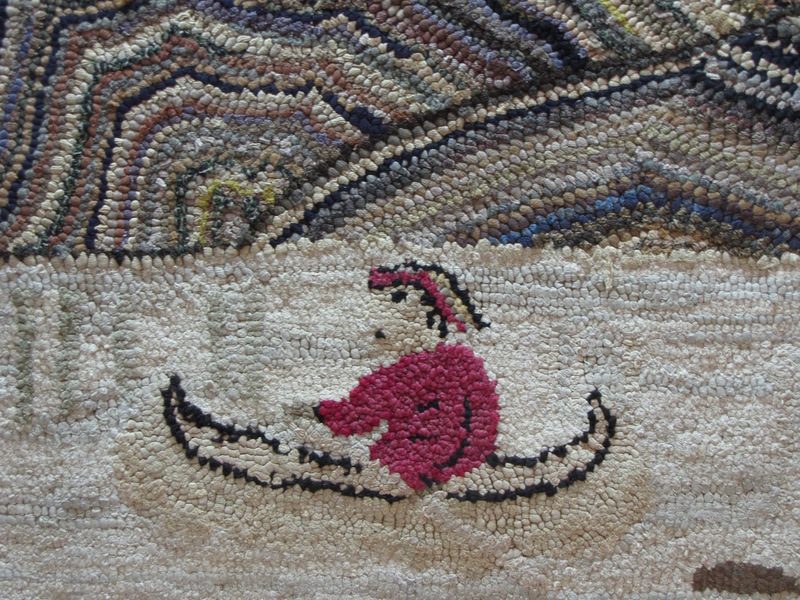 A great addition to a folk art or cabin collection.